I-80 x Carpe Diem 8 days old bull calf. Born unassisted out of a first calf heifer. Tragedy Brings Reminders In What Life Is…shared from the Prairie Californian. 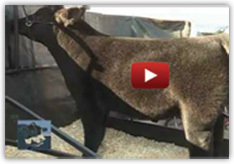 Potts Show Cattle Online Sale -going on today! Just when I thought I had seen in all!